At the Humane Society of Southern Arizona, we understand that the decision to surrender your pet is not an easy one. We treat each circumstance with understanding and respect. We believe the best place for any pet is in a loving, committed home. 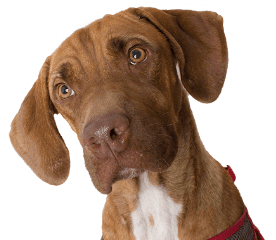 Before you make the decision to surrender your pet, please consider looking at our Pet Behavior page to see if there are resources available to help you keep your pet in your home. You can also contact a kind and caring intake counselor at 520-327-6088, ext. 102 or 103. If you would like to keep your pet, but can’t afford spay or neuter surgery, please visit our Low-cost Spay & Neuter page to find out about programs that may be able to help. Appointments are usually available within a week. Allow 15-45 minutes for your surrender appointment. We encourage all owners to provide all veterinary records for their pet, and to ensure their pet is current on vaccines before admission. This helps protect your pet from illness and allows him to find a new home more quickly. Call 520-327-6088, ext. 102 or 103 to make an appointment. The HSSA does collect an Animal Care Fee at the time of surrender. What does it cost to surrender a pet? If you have found a stray, please see our Lost and Found page. For stray pick-up in other jurisdictions, call Pima Animal Care Center at 520-724-5900. Owned or stray pets should be brought to the Humane Society of Southern Arizona. Pima Animal Care Center will not accept any pets from these jurisdictions. Individuals with an owned or stray pet from other jurisdictions should contact Pima Animal Care Center directly, or the Humane Society of Southern Arizona may have space to accept the pet. Please note that we are unable to pick up animals. In order for us to receive an animal, some requirements must be met. Dogs must be capable of being safely housed with other dogs. Each animal must be clear of any major medical issues such as allergies or broken bones. We schedule dental appointments a few weeks in advance to ensure that we have space available. We cannot receive any animal that is unable to be safely handled. www.maranaaz.gov/animal-services or call Marana Animal Services at 520-382-8020. If you are a resident of Sahuarita, please visit your Animal Services Division website to learn more: www.sahuaritaaz.gov/animalservices or call Sahuarita Animal Services at 520-445-7877.